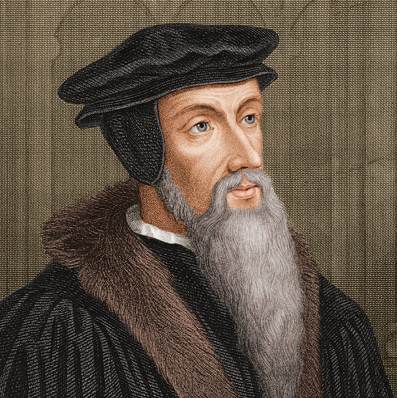 John Calvin said in the Institutes, "Wherever we see the Word of God purely preached and heard, and the sacraments administered according to Christ's institution, there, it is not to be doubted, a church of God exists." ecclesiastical discipline is uprightly ministered. Both are incomplete understandings of the church. I know. I'm just a regular guy. Who do I think I am to say that John Calvin and the Scots Confession were wrong? In my genuinely humble opinion, as I see it, the problem with both Calvin and the Scot's Confession is that both of these understandings of the church assume Christendom. They both assume a world where people are already a part of the church. Such that, what is necessary for a healthy church is good maintenance and order of the church. The problem is that's not the world I live in. I live in a world where the majority of the people are not part of the church. I live in a missionary context, where most of the people in the world need to come to know Christ as Lord and Savior and become part of the church. Calvin and the Scot's Confession's definition of the church point inward. Their definitions have to do with institutional maintenance and order. There is no mention of the outward expressions of the church and her missional imperative to make disciples of all nations and to establish God's kingdom here on earth as it is in heaven. Calvin and the Notes of the Reformed Church only tell half the story of the church. Calvin and the Scot's Confession's definition of the true church are inadequate understandings of the church. Yes. I really did just say that...as humbly as I can, of course. Advent Reflections...Too Humane for a Savior? Do You Know "WHERE" You Are Leading?